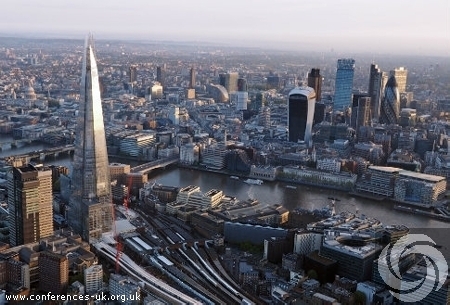 London is a hotbed for international and local business conferences and events. With millions of individuals making their way to London every single year, it becomes increasingly important to find the best conference venues London and the surrounding areas have to offer. If you are looking for London conference venues, and aren't quite sure where to start your search, we've listed a few of the top locations to check out. We'll start our list with the Aston Conference Centre. The Aston Conference Centre is located in the heart of Birmingham and provides three conferencing and event venues to choose from. Available for large and small events, the Aston is easily accessible from all parts of the UK and makes the ideal location for academic training and special business events. Positioned in the historic Bloomsbury district of central London, 20 Bedford Way is one of the best conference venues London businesses can choose from. The venue hosts way welcome events, conferences and performances year round. With a beautifully designed building, the venue is light and spacious, comes with nine meeting rooms, and can hold up to 930 individuals comfortably. The Mercure London Bloomsbury is one of the more affordable options for London conference venues. Contemporary in design, the Mercure London Bloomsbury is a 4 star boutique hotel that comes with complimentary Wi-Fi and amazing customer service. With just one meeting room, this venue is perfect for those on a budget who only have a few individuals attending. The Holiday Inn London Bloomsbury, offers 12 high quality meeting rooms for interested parties to enjoy. Each meeting room has been refurbished to the highest standards. This includes high quality built-in audio systems and high-speed internet that is ideal for presentations. Capacity taps out at 450 individuals, which makes this a great place for small to medium conferences. Whether you are looking for a simple business meeting spot for 20 or fewer people or are in need of a large conference venue for 400 or more people, the Royal Airforce Museum in London might just be right for you. Choose from 10 meeting rooms holding up to 800 individuals with the Royal Airforce Museum. For the best London conference venues, use Conferences UK. We have helped thousands of business teams find the best conference venues London and the whole of the UK has to offer, according to their unique requirements. From the Aston Conference Centre to small boutique hotels, we are here to help you find the ideal fit for your meeting or conference. Contact us today to learn more!